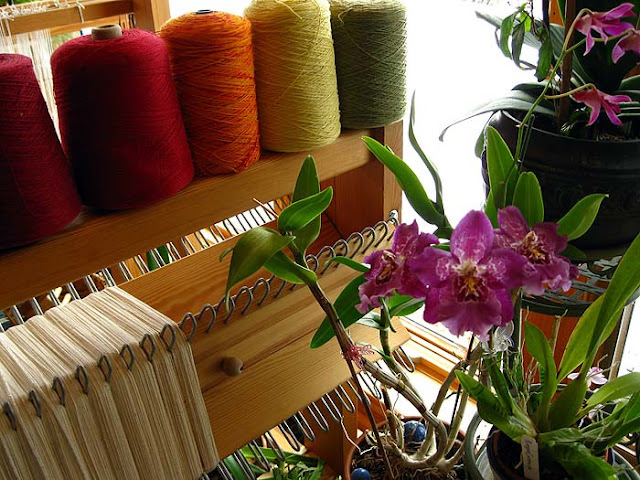 This months 2nd Monday gathering was hosted by Carole and it was fun to see where she had set up her loom at home; after closing down our shared studio space in town. 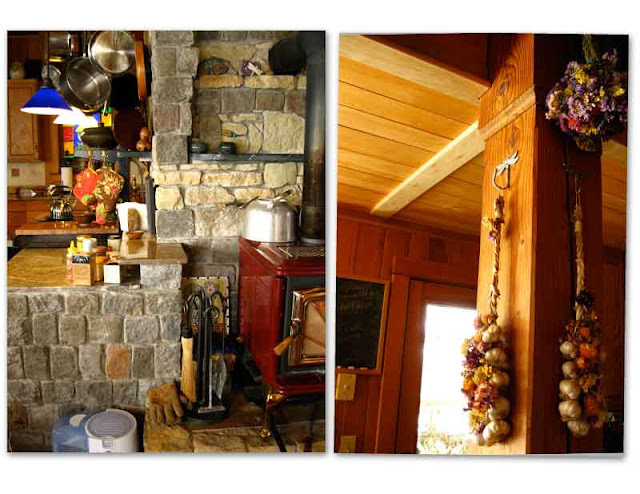 I must say that, her weaving space is very inspiring, surrounded by windows overlooking the apple orchards and winter shrouded gardens that grace her home. I probably should have been taking more pictures outside; but Carole’s inviting home and of course the show and tell of everyone’s projects, was enough to keep me visually overloaded as it was. 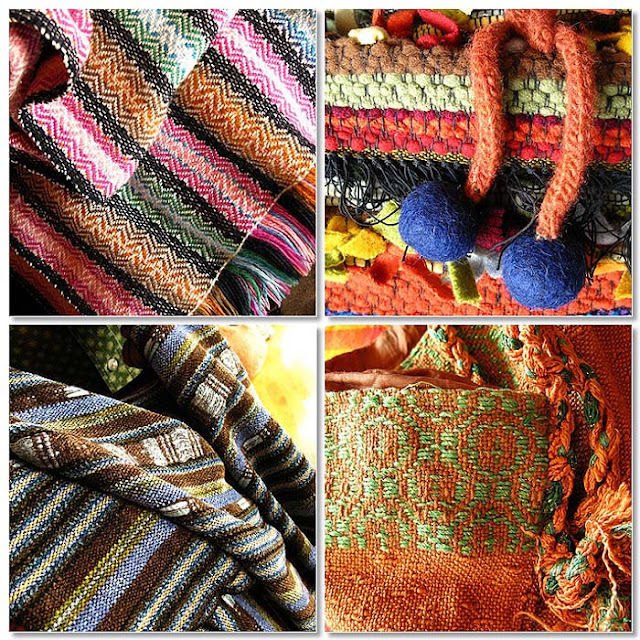 Some of the projects pulled out of bags and baskets or taken from the coat pile: Evan’s cotton scarf with an interesting crochet chain finishing, one of Susans woolly bully bags (need, need, need) Carole’s newest project, a rayon chenille shawl with a supplementary warp. And Evan carried her crochet project in a bag woven by her mother (maybe grandmother, I should take notes,cause I have no memory). I think that she is so fortunate to have weaving be part of her heritage. The food as always was incredible, the cinnamon rolls made by Joanne should probably be illegal in some states. 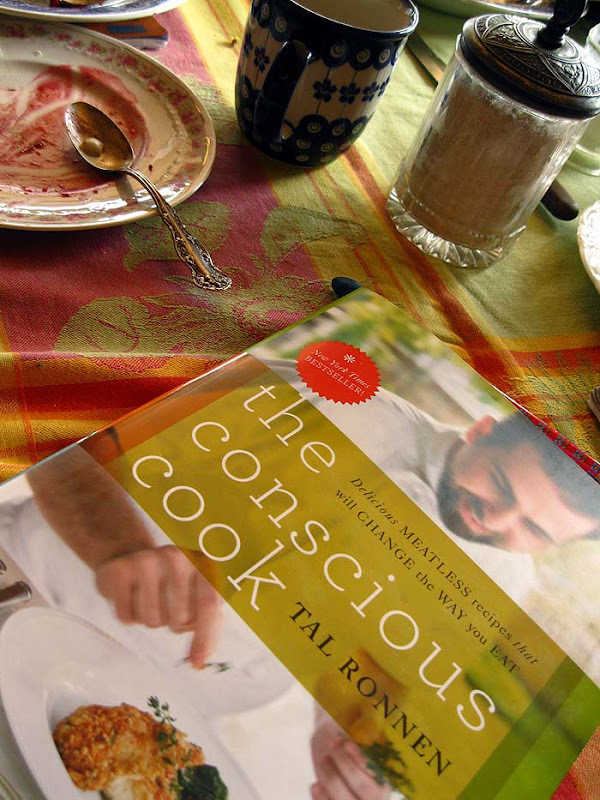 Carole made a cashew cream that was wonderful from this cookbook. 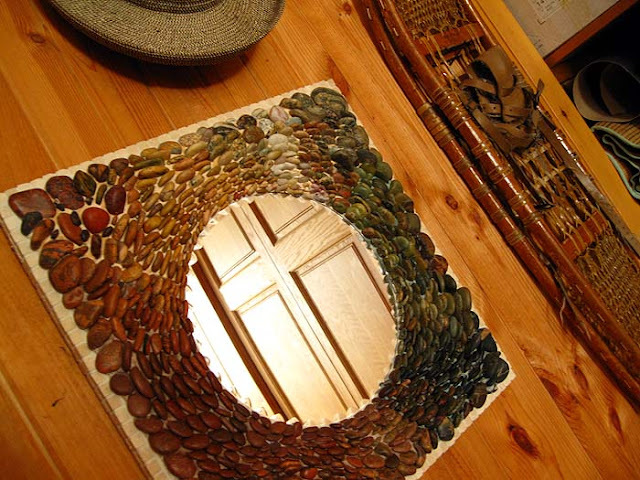 The mosaic mirror was created by Carole with rocks picked up from the Lake Superior shoreline. 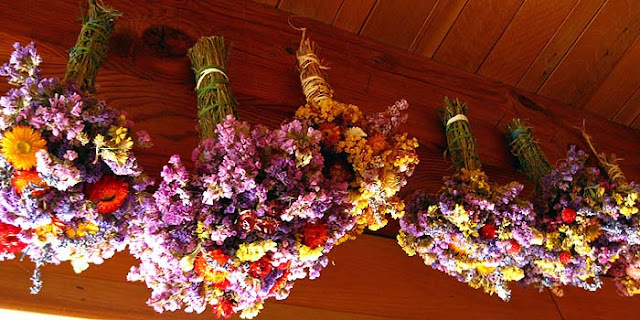 And to top off all the great food and textile eye candy Carole gave everyone a dried flower bouquet, to take home. Obviously her gardening skills way surpass mine. If she wasn’t such a good friend I would have to be way jealous of her may talents. Looks like spring is on a few peoples minds with all the flowers strewn about. Evan has approximately 200 crocheted flowers for an afghan. This lady seriously needs spring! All in all a good day to ditch the winter hibernation and partake in some hearty guffaws (always wanted to use that word in a sentence; I wonder if it is really a word ? )… and good girly weaver bonding. 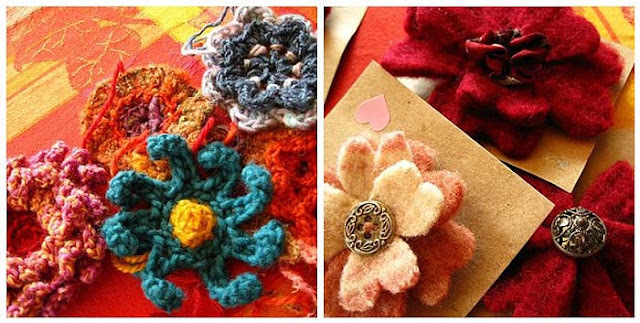 And Joannes recycled wool brooches are fun and colorful. For more pictures of our fiber gatherings go to my flickr site. Another great gathering, go fiber people!! 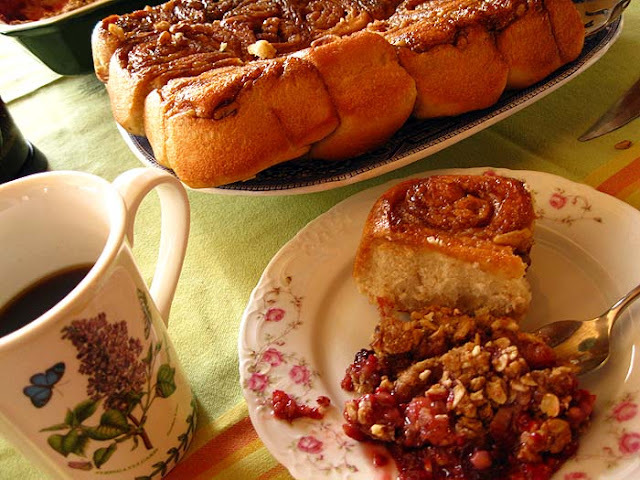 found you through 'next blog' – great to see the loom and the cinnamon rolls look amazing. Make me miss my time in Canada. sorry – the comment above was actually me! Beautiful pics as well! Looks like a fabulous get together and all the creations are wonderful. Love the look of the kitchen.